James D. Barron, 75, resident of Lewisburg, died Tuesday, January 15, 2019 at Saint Thomas Hospital. Born on November 1, 1943 in Marshall County, TN, James was the son of the late Carl & Mary Gladys Barron. 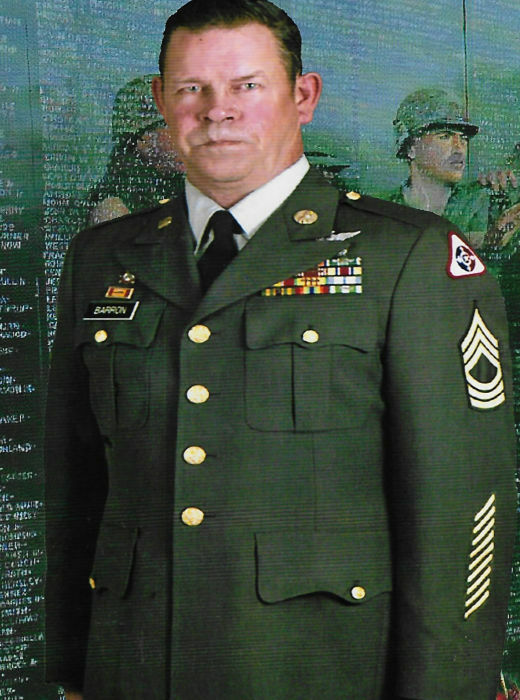 James had 33 years of service with the United States Army & National Guard. He enjoyed bowling and fishing in his spare time. Survivors include his son, Gary (Annette) Barron of Lewisburg; brother, Thomas Barron of Lewisburg; grandchildren, Kimberly Dooley, Shelby Middleton & Justin Barron of Lewisburg; & seven great grandchildren. In addition to his parents, he is preceded in death by his wife, Alice Gail Barron; sister, Thelma Shorley; brothers, Hybride (Hybie) Lee Barron & William (Pat) Barron. Visitation with the family will be Thursday, January 17, 2019 from 4:00PM to 8:00PM. The funeral service will be conducted Friday, January 18, 2019 at 12:30 with Brother Danny Jones officiating. Visitation will be held at 10:00AM until time of service. Memorial contributions may be made in care of Bills-McGaugh & Hamilton for funeral expenses. Bills-McGaugh & Hamilton Funeral Home & Crematory is assisting the family with cremation arrangements.